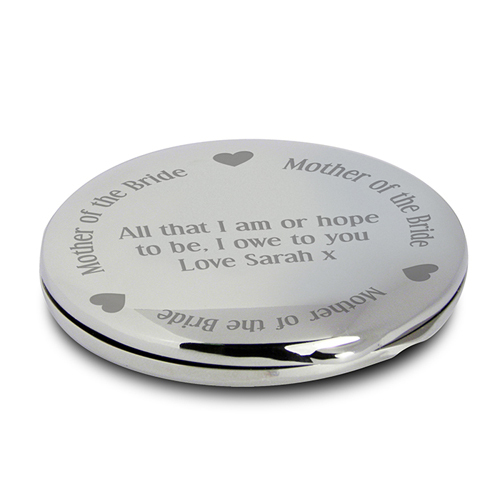 Personalise this Mother of the Bride Compact Mirror with 3 lines up to 25 characters per line. 'Mother of The Bride' is fixed. Dates with a break need to be entered with full stops, hyphens or other characters cannot be accepted. Personalise with 3 lines up to 25 characters per line.